Mary Alice Carfi is hoping the voter sentiment that has lifted Democrats to wins in Republican strongholds across the country can help her close the gap on state Sen. Mark Pody. Carfi, a Lebanon Democrat after moving her law office there from Mt. Juliet, lost to Pody, a sitting House member at the time, by 300 votes to fill the seat left open by departing Sen. Mae Beavers when she decided to run for governor. The Smith County native who grew up on her grandparents’ black Angus cattle farm, Carfi won Smith, DeKalb and Clay counties, while Pody wrapped up Wilson, Macon and Cannon counties last December. As she did late last year, Carfi is pushing for expanded Medicaid, better schools in every county, and higher wages, all of which are inextricably linked and meat-and-potatoes issues for most Democrats statewide. Thus, Carfi is among a field of Democrats filling nearly every state House and Senate ballot across Tennessee in an effort to turn back the Republican tide that swept the state during mid-terms of former President Barack Obama. In comparison, Democrats put only six candidates on 16 Senate ballots in 2016 and about 66 candidates on 99 House district ballots two years ago. That showing allowed Republicans to maintain a supermajority in both chambers, 74-25 in the House and 28-5 in the Senate. The Tennessee Democratic Party has been touting its lineup for months, in anticipation of riding a potential “blue wave” in the November election. “We’re excited to have the largest class of Tennessee Democrats stepping up to run for office in recent memory – and we’re working hard to ensure these candidates have the resources they need to run effective campaigns, from Mountain City to Memphis,” state party Chairman Mary Mancini says. 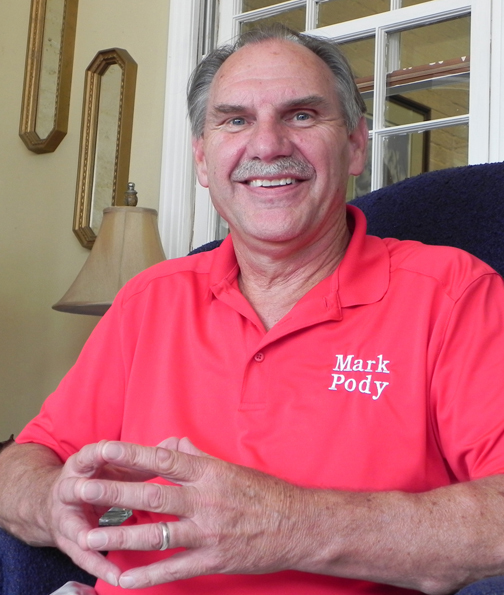 State Sen. Mark Pody is relying on voter approval of how the Tennessee Legislature has performed to fend off any pro-Democrat movement that might affect state elections. Carfi says she’s not certain the state party will come up with the money to back her campaign this fall, but she is confident she will have enough to compete, saying even if it takes $200,000, she’ll be prepared. Pody, even though he held a House seat for seven years and the Senate post for six months, says he’s still introducing himself to people in the district, visiting county commissions and holding town halls. He’s well aware of the potential for Democrats winning seats at the mid-term of a Republican president. But as for a blue wave sweeping across the nation and rolling into Tennessee, Pody calls the state “an outlier” compared to the rest of the nation. While other states are seeing teachers grow disgruntled over pay, Tennessee has increased teacher salaries and bolstered education spending. At the same time, the state is holding unemployment at the 3.5 percent mark, a record low for Tennessee, and consistently adding jobs in rural and urban areas. “I feel the voters here in Tennessee are going to look at the jobs we’ve done and will vote accordingly,” Pody says. He contends the Legislature made the prudent choice by not expanding Medicaid or approving Gov. Bill Haslam’s Insure Tennessee plan. He points toward the federal government’s recent move to cut subsidized rent payments by 20 percent as proof the feds are moving to reduce the deficit and leave states to pick up the slack. “So states that are saying we want to be more reliant on the federal government are going to be finding that that is drying up and they’re going to be undertaking the cost of any programs they started with the federal government,” Pody says. Democrat Gloria Johnson is hoping the third time is the charm when it comes to matching up against Republican state Rep. Eddie Smith in Knoxville and says a “blue wave” of Democratic wins nationwide could push her to victory. “I do because what’s creating that ‘blue wave’ is the energy behind the people interested in voting and bringing a change,” says Johnson, 56, a retired special education teacher who served one term in the state House in 2013-14 before falling to Smith twice for the District 13 post in East Tennessee. Johnson’s message includes expanding Medicaid to provide access to insurance for some 280,000 uninsured people, including 25,000 veterans who should be able to take advantage of the taxes Tennessee pays on the Affordable Care Act. “It truly is a no-brainer, and I do truly believe this is the biggest mistake in modern history in Tennessee, the Legislature not expanding Medicaid or passing Insure Tennessee,” she explains. Johnson contends the state is underfunding K-12 education by about $500 million annually, and she wants to prevent charter schools and vouchers from “siphoning” money from public schools. Instead of looking at alternative operators, the state needs to invest in its public schools and build stronger “community schools” where children stay in their neighborhoods. Despite facing a 9-point Republican advantage and large sums of outside money, Johnson has gotten within roughly 150 votes of Smith. “So I think with the energy we’ve got this year, more people engaged, more people really focusing in on health care and education as well, I think we are gonna put it over the top,” Johnson says. Smith, on the other hand, doesn’t believe Johnson will benefit from any “blue wave,” saying little has changed in District 13 during the past two years. He points out she’s never won 50 percent in any race this decade. Smith sponsored legislation in 2018 to enable what he terms a “slow” Medicaid expansion by reforming the TennCare system and enabling the state to cut pharmaceutical costs, save $768 million and use that money to expand coverage. The measure was headed for passage in the House before the Senate killed it, he says. Smith took off notice a bill he sponsored directing the commissioner of Finance and Administration to seek a waiver from the federal government for block-grant funds to provide medical assistance to people in a TennCare population with incomes below 138 percent of the federal poverty line. Based on his passage of legislation creating recovery high schools where students with addictions can work toward graduation instead of dropping out, as well as his efforts fighting the opioid epidemic and helping historically black Knoxville College resume operations, Smith says he has “a record of success” voters will continue to support. Investing in health care and education and boosting wages are his three priorities, aligning him with the Democratic leadership across Tennessee. Suddenly, Jones finds himself without an opponent after veteran Republican Rep. Gerald McCormick announced he is taking a job in Nashville with Asa Engineering and leaving the Chattanooga district. Another Democratic primary challenger, Jean-Marie Lawrence also says she is dropping out of the race after her apartment building closed and she was unable to find another place to live in the district able to meet her disability needs. Jones conceded beating McCormick in November would have been a “heavy lift,” and he was prepared to raise questions about his residency. He’s still expecting Republican opposition to arise. “As a citizen, it is pretty serious to me to not be living in the district you’re representing, even though he says he does. It sure seems like he doesn’t. That’s a pretty important qualification to be in the district a lot when you’re representing it,” says Jones, 64, a retired small business owner who says he will also bank on his 60 years living in the district. “I wouldn’t even want to be someone who represents just a portion of the constituents. I want to try to represent as many as I can that I hear their voice. … I would hear their voices and that would have an effect my decision, but sometimes I would still vote in a way that pisses people off,” Jones says. McCormick acknowledges he rented a Nashville house for 13 years and bought one a year ago because his wife, Kim, works as an aide for Board of Regents Chancellor Flora Tydings. He says he continued to own the 3,500-square-foot home in Chattanooga where he has lived for 18 years but couldn’t pass up this lucrative job opportunity and decided to leave the Legislature. “It will require my relocation, which is OK. My wife is living up there. My kids live up there, and I’m about to have a grandkid living up there,” McCormick says. The former House Majority Caucus leader and chairman of the Finance, Ways and Means Subcommittee, McCormick says he checked with Attorney General Herb Slatery and confirmed Republican candidates would have 10 days to qualify to run in his place in an August Republican primary, even though the initial qualifying deadline was long gone. “There’s no scandal brewing and nothing embarrassing,” says McCormick, who predicts Republicans will maintain the seat even after he leaves. McCormick’s exit leaves the race wide open, not just for the district seat but for speaker of the House, with Beth Harwell leaving her post to run for governor. He mentioned former Tennessee Republican Party Chairman Robin Smith as a potential candidate to run in his stead, though he had not tipped her off he was leaving. She made headlines in 2008 by making derogatory statements about President Barack Obama. McCormick predicts a Republican will win the Chattanooga district where President Donald Trump won 68 percent of the vote in 2016, and he says any semblance of a “blue wave” will peter out in Tennessee. If Democrats are “lucky enough” to reverse a couple of seats held by Republicans, McCormick says the GOP is likely to win some Democrat-held seats, as well. After knocking on thousands of doors for other Democrats, Memphis candidate Allan Creasy is working on his own behalf this summer as he tries to unseat 12-year Republican Rep. Jim Coley of Bartlett. Creasy points toward one-term Democratic Rep. Dwayne Thompson from Cordova who beat established Republican Rep. Steve McManus in 2016. He says he knocked on thousands of doors for Thompson. Expanding Medicaid is Creasy’s main focus. He says Tennessee has lost billions of dollars in recent years that could have helped hospitals and individuals, and he accuses Coley of voting against Medicaid expansion in the 2018 session. 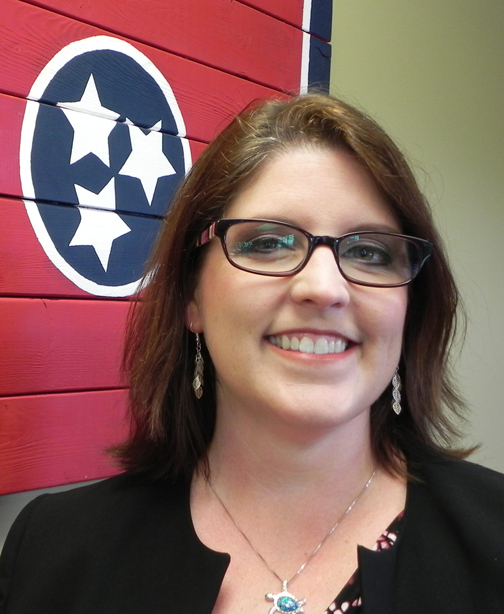 Creasy contends Coley voted for a health care compact in 2012 that would have turned Medicare into a state-run program of TennCare and in the same year voted to cut millions in funding for senior in-home care, which would have forced many seniors into nursing homes. Coley denies voting against Medicaid expansion, though he voted to table a related amendment on a proton therapy bill for cancer patients this session. Gov. Bill Haslam vetoed the proton therapy bill, but legislators declined to reconvene this summer to override the decision. On the campaign trail, Coley says he is talking about efforts to end human trafficking, an issue he has “championed” for eight to nine years, helping move Tennessee from the middle nationally to No. 1 in the country for the strength of laws combating human trafficking. In addition, Coley is continuing to talk about the level of services in some areas annexed by the Memphis City Council, places such as Cordova trying to get out of the city. The measure was at the forefront of Memphis politics two years ago but was put on hold because the city was offering a compromise. Coley, though, says the matter could be renewed in 2019. As for a blue wave and the potential of it affecting his race, Coley says he believes the “gap is closing” already in the polls, and he doesn’t think the Democrats have a message for people. “I think you can only be critical so much and then you’ve got to offer some idea for what you want to do, and they haven’t done that yet,” Coley says.